Ships tomorrow if you order in the next 24 hours 60 minutes. Inositol is a compound that is naturally found in your body. It is an important member of the B-vitamin family, and may provide a number of health benefits. Foods that are rich in inositol include various vegetables, raisins, bananas, liver, and brown rice, but it is available in supplement form for daily use as well. 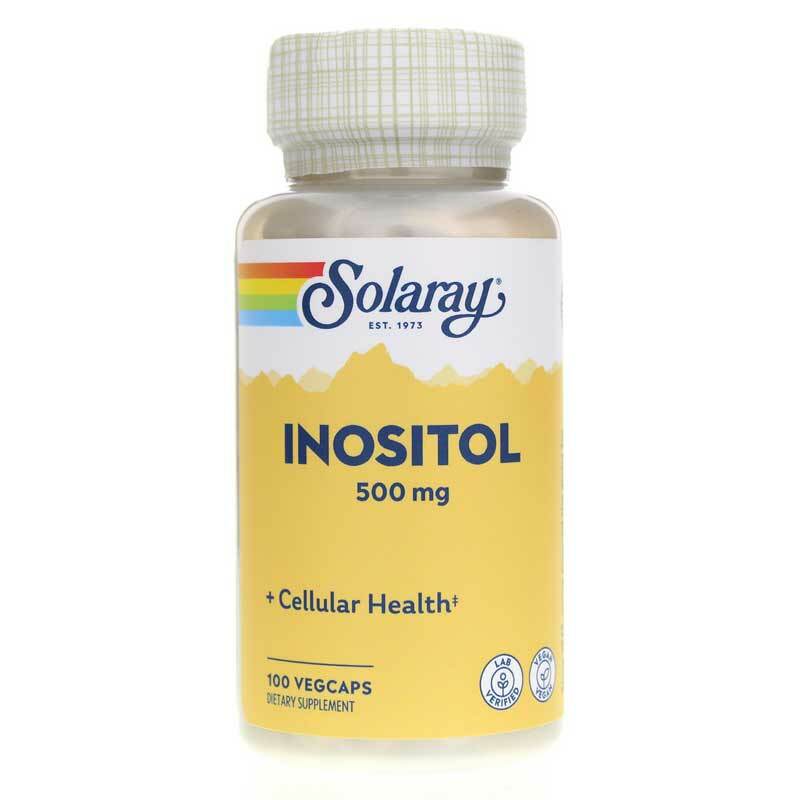 Inositol from Solaray is a natural dietary supplement that provides 500mg of inositol in every capsule to help enhance your overall health and wellness. 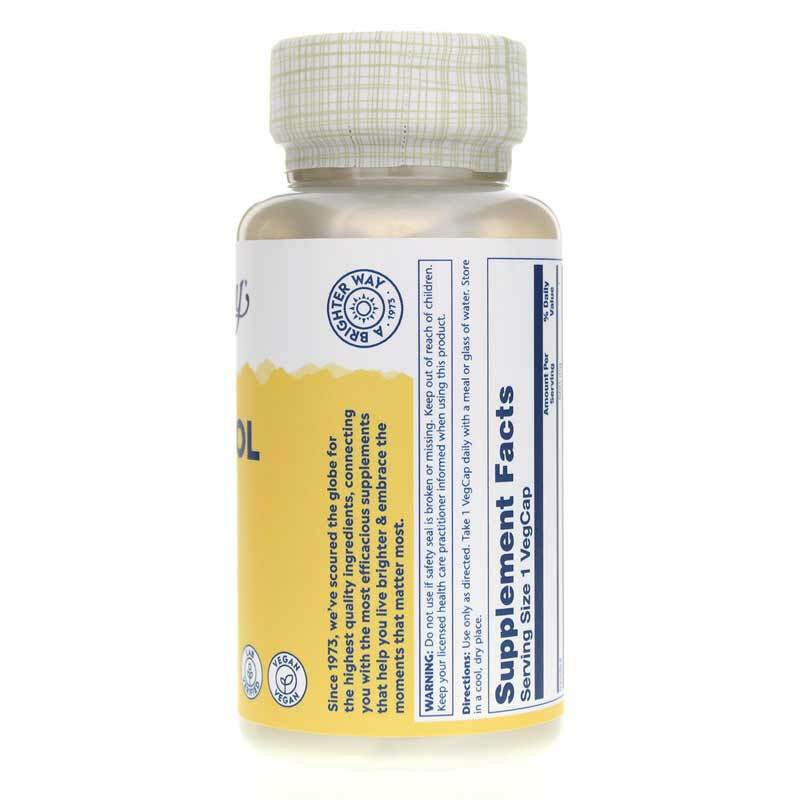 Solaray guarantees that the only ingredients used in this supplement are the ones listed on the ingredients label. 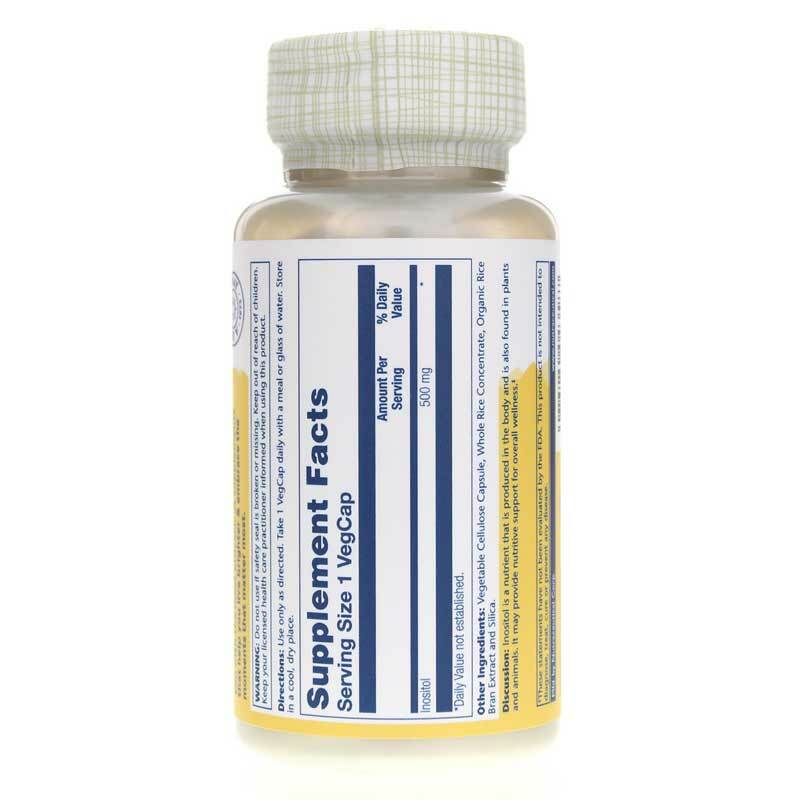 Inositol comes in an easy-to-swallow capsule form that only needs to be taken once every day with food or a glass of water to support better health. Give it a try today, and see the difference it may be able to make for you. Order now! Other Ingredients: vegetable cellulose capsule, whole rice concentrate, organic rice bran extract and silica. Have used this particular brand and dosage for many years. The price recently increased at our local Co-Op. Found Natural Healthy Concepts through a google search. The price was unbeatable and Inositol 500 Mg was delivered early! Great customer service.